Are you in control of your finances or do your finances control you? 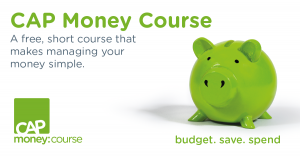 CAP (Christians Against Poverty) Are running a free 3 session course to help you manage your money better. First session is on Wednesday 3rd April at Wem Baptist Church, Chapel St, Wem, SY4 5ER. To book your place ring Graham Joynes on 07889843933. 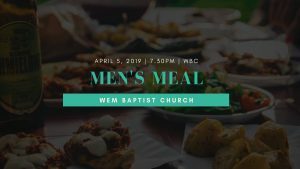 Guys, it's time for another men's event! This time Simon is going to treat you all to a slap up three course meal combining St Patrick's, St David's and St George's day by including a Welsh starter, Irish main course and an English pudding. To be held at church, Friday 5th April at 1930. Cost will be £5 a head. Please see Simon Collins for more details. Join us in celebrating as one of our friends is baptised in obedience to Jesus Christ's command and to express their trust in him as saviour. Note that this will be at the earlier time of 4:30pm and will replace our normal 6:30pm evening service this week. All are welcome to stay after the service for refreshments.